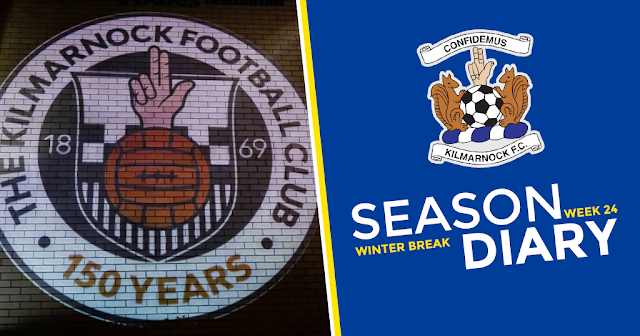 This week’s offering should really be all about Scotland’s oldest professional football club’s 150th anniversary launch dinner on Saturday, organised by the KFCSA and Killie’s Gregg McEwan, but sadly that is not the hottest topic this week. We already knew that Jordan Jones would probably be leaving the club at the end of the season, we also knew it was highly likely that he would go up the road to Rangers (boyhood heroes my arse), we didn’t like it but it happens, you lose players and move on. The immature and classless way it transpired though was unacceptable and insulting to the fans and club who gave the player the platform to shine which facilitated his move. Such a shame as Jones has been an excellent player for us and up until now, really good with the fans. Why any of these guys would choose to align themselves with lowlife factions via the medium of social media is beyond me! Seems like The Rangers are up to their old tricks of buying out their nearest rivals again, surely the SFA must have something to say about such a recently bankrupt organisation already back in massive debt and losing money hand over fist?